Playing at the Walter Kerr Theatre with maximum seating of 948 per performance, Springsteen is selling out with his Thanksgiving week take being $2,393,435. That's just for ONE week. 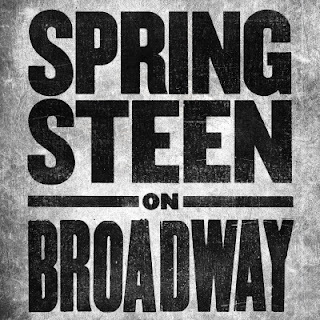 Of course, Springsteen has the highest average ticket price on Broadway at $504.94. Hamilton is second with a mere $321.13 and Bette Midler in Hello, Dolly! is fourth with an average price of $211.68. By the way, both Hamilton and Dolly do eight performances per week. Springsteen only does five. With those kind of numbers, it's no wonder that Bruce has extended his "limited run" on the Great White Way by another four months, taking him through June 30. Now, here's the bad news for fans that didn't try to initially get tickets. No additional availability is expected for the extra four months of the run. Those that applied for the initial dates and the first extension but were not selected in the lottery will be contacted and offered spots. "The Rising" replaced "The Ghost of Tom Joad" early in the run.